← Criticism or pathological hate? Almost exactly 25 years ago, on September 13, 1993, Israel committed the greatest single strategic mistake in its 70-year history by signing the “Declaration of Principles on Interim Self-Government Arrangements,” otherwise known as the Oslo I Accord. The disaster of Oslo still reverberates today, when it claimed yet another of its thousands of Jewish and Arab victims with the murder of Ari Fuld, a Jewish father of four who was stabbed to death at Gush Etzion Junction, a site of numerous terror attacks, by a young man born in the years after Oslo and educated to be a human murder weapon by the educational system set up for that purpose by our Oslo partner Yasser Arafat. One of the fascinating aspects of the Oslo saga is the fact that the 25 years of bloody war and terrorism that they have lived through since the festive signing ceremony on the White House Lawn has failed to convince some of its supporters that it was anything other than a good idea, albeit sabotaged by (among others) “settlers,” Benjamin Netanyahu, Yigal Amir, and today even Donald Trump. Oslo allowed Arafat’s PLO, heretofore a banned terrorist organization, to assume the mantle of “legitimate representative of the Palestinian people,” return to Israel from its exile in Tunisia, and establish the Palestinian Authority (PA) to govern the Arabs of Judea, Samaria, and Gaza. The fact is that Arafat never had the slightest desire to establish a peaceful state alongside Israel, or to join the New Middle East that Shimon Peres was wishfully dreaming about. He did not accept Israel’s right to exist and had no intention of changing the Palestinian Covenant which called for its violent elimination. And he certainly did not intend to “fight terrorism” – rather, he sponsored and encouraged it. His goal was to make Israel unlivable by terrorism while at the same time applying diplomatic pressure for more and more concessions. Ultimately, he hoped to weaken the country spiritually, psychologically, and strategically, so that Israel’s enemies, the traditional Arab confrontation states and the PLO working together, could physically destroy her. With some modifications, he was following the so-called “Ten-Point Plan” adopted by the Palestinian National Council in 1974. The most diabolical of his terrorist devices, which continues to murder Jews long after his own death, is the Palestinian Authority educational system, set up immediately upon the establishment of the PA. From their kindergartens through their universities, Palestinian children receive an indoctrination in the Palestinian narrative of victimization and revenge, as well as pure anti-Jewish hate. This is reinforced by official Palestinian media, which presents murderous terrorists as the heroes of the Palestinian people, and killing Jews and especially martyrdom in the process as the most honored act for a Palestinian. Arafat had to manage the tension between appearing to cooperate with Israel and the Americans so that they would continue to provide money and weapons (to “fight terrorism”), and being an uncompromising warrior for his own people. This required little effort; indeed, the Israeli leadership was so blinded by its vision for peace that almost anything that Arafat did or said was rationalized. When Arafat called for jihad in Arabic, it was explained as necessary for him to maintain the respect of “hard-liners.” The fact that then his people went out and engaged in the jihad he asked for was considered an unfortunate byproduct of the struggle for peace. Indeed, Yitzchak Rabin sometimes called terror victims “casualties of peace.” When Arafat made a speech in Johannesburg, South Africa in 1994 comparing the Oslo Accords to Mohammad’s treaty of Hudaybiyyah, in which he agreed to a temporary truce in order to gain time to build up his forces and then broke it to defeat his enemy, it was considered mere posturing. But he meant every word. Many have asked the question, why did Israel not abrogate the Oslo accords and dismantle the PA after countless terror attacks, and after it had hard evidence that Arafat was sponsoring and encouraging terrorism and that weapons given by Israel to the PA were being used against Israeli civilians. One reason has always been American pressure; long after most Israelis realized that the PLO was not and would never be a partner for peace, American officials continued to believe the myth that the PLO wanted a state and would end the conflict if only Israel would make enough concessions. But that wasn’t the only reason. In a very informative piece, Douglas Feith, who worked in the Reagan and Bush Administrations, argues that even when Israeli leaders realized that the “land for peace” deal would not happen because the PLO could not and would not end the conflict, they still continued to push for the deal because they believed that for demographic reasons, the territories were a poisoned meal that the country couldn’t digest. If a real peace deal couldn’t be obtained, then a unilateral withdrawal was the next best thing. One way or another, they wanted out of the territories. Even Ariel Sharon preferred to withdraw first and then worry about the security problems it created. How Sharon would have managed what happened in Gaza after the unilateral withdrawal is something we will never know. We do know that his successor, Ehud Olmert tried to give away Judea and Samaria; only Mahmoud Abbas’ fears of making even a token concession to Israel, or perhaps his hopes of getting a better deal from the next US president and the UN, prevented a greater disaster than the flight from Gaza. Unlike Olmert, Bibi has learned the lessons of Gaza and takes the security challenges seriously. And the Trump Administration’s Mideast team seems, for the first time, to be trying to develop a reality-based policy. In the past few weeks, the administration has sharply cut payments to the PA and UNRWA, the corrupt Palestinian refugee agency. It delivered a serious blow to the PLO’s honor by recognizing Jerusalem as the capital of Israel and moving the embassy, while not endorsing the Palestinian claim; and it closed the PLO’s “embassy” in Washington. The PLO under Arafat and his successor, Abbas, has never changed its nature. From its founding as a terrorist militia in 1964, through its success as a Soviet client and its military adventures in Jordan and Lebanon, its exile to Tunisia in 1982, and its return in the guise of a legitimate authority in 1993, it has never been anything else than a weapon against the Jewish state. It has never offered anything to the Palestinians themselves except a chimerical hope of revenge. Possibly, with the incipient end of the Abbas period and the new policy of the Trump Administration, we can finally say goodbye to the PLO – and the Arafat educational system. 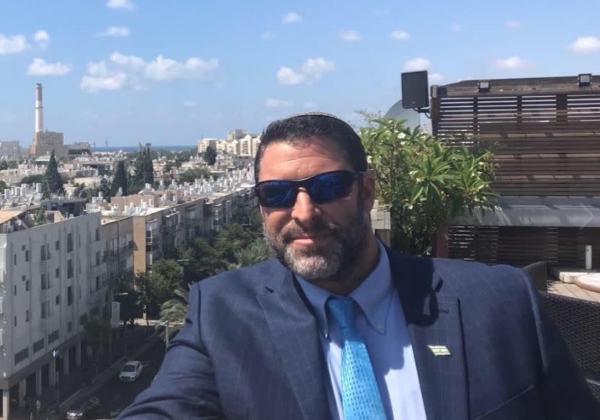 The funeral for Ari Fuld will be starting in a few moments. May God avenge his blood, and make him the last victim of the hateful PLO. gave weapons and weapons training to the so-called “Palestinian Authority”. Prime Minister Ariel Sharon gave them all of Gaza — for free. that Arabs have [or would soon] abandon terrorism. Yitzchak Rabin and Ariel Sharon failed to understand that jihad – Islamic holy war against non-Muslims – is one of Islam’s most important teachings, and Muslims are serious about their religion, even if secular Jews like Yitzchak Rabin and Ariel Sharon are not serious about their religion. Yitzchak Rabin and Ariel Sharon failed to understand that the conflict between Israel and Arabs is NOT ABOUT LAND, contrary to popular belief; it is based on the teachings of Islam, including: jihad and the superiority of Muslims over non-Muslims.